Front photo: An actual game shot, even though the angle of the dugout top in the background makes it look like the camera is at an angle. Wiki-facts: Clifford is actually his middle name. His real first name is Cornelius (his father's name). His adoptive sister dies of cancer, and her 2 children are now living with him and his family. How was his strike-shortened 1994? 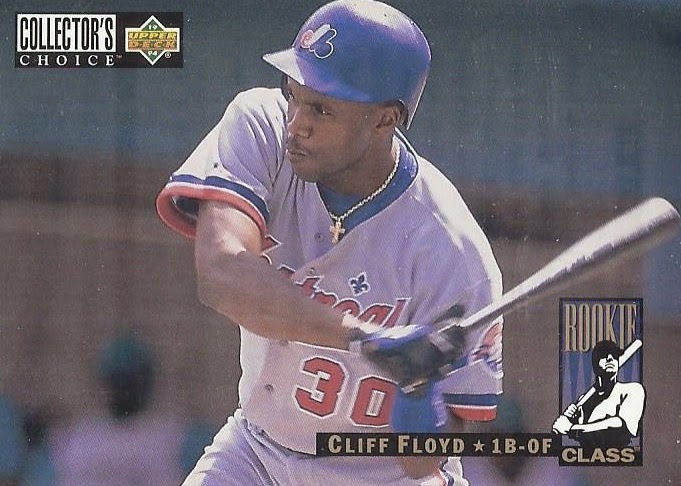 : Of those featured so far, Cliff saw the most action in 1994, batting .281 over 100 games. Was 5th in NL Rookie of the Year voting. Birthday boy: Born December 5, 1972. Two more major leaguers were born that date, Mike Mahoney and Felix Rodriguez. 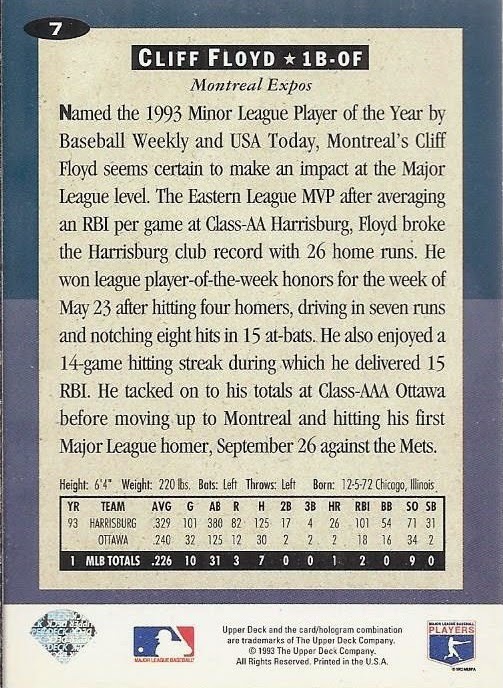 Ties to my Personal Collections: Played for the Expos, and would go on to play for the Mets.